When looking at some of the key figures for the oil and gas industry this week, in which we see that oil prices have lost some of their gains and in which we continue to notice a decline in U.S. crude oil production which has now slipped below 9 million barrels per day. Oil prices held their ground above $40 per barrel this week, bouncing around at their highest levels since December 2015. Prices lost some ground at the end of the week but held their ground, awaiting the result from Doha when several OPEC members sit down with Russia to hash out their production freeze deal. 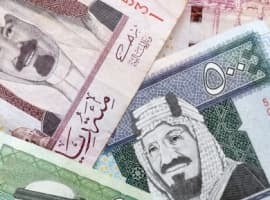 There has been a lot of confusion surrounding the meeting – whether Saudi Arabia would sign up without Iran’s participation, whether or not any participant would agree to something that places restrictions on their production – but it is unlikely that they would agree to meet unless a positive result was all but assured. Related: Are We On The Right Track To An Oil Price Recovery? Whether that has any material impact on global oil supplies is another matter. Saudi Arabia’s oil minister has already explicitly ruled out a production cut. Nevertheless, oil prices could receive a modest bounce if the parties emerge with a formal “production freeze” deal, even if they had little capacity to increase production anyway. IEA issues bullish report on oil. The three main energy bodies – OPEC, IEA and EIA – released monthly reports this week, and the IEA’s was the most bullish of the bunch. 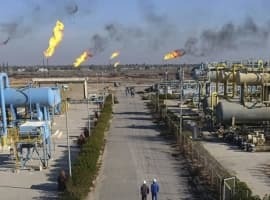 The Paris-based energy agency said that the excess global oil supply may currently stand at around 1.5 million barrels per day (mb/d), but that glut would shrink rapidly to just 0.2 mb/d in the third and fourth quarter of this year. The EIA does not see markets tightening that much until sometime in 2017. If the IEA is correct, oil storage levels will start to draw down significantly in the second half of 2016. Oil prices will continue to be volatile, but the price floor will rise. In other words, prices will go up and down, but we could see higher highs and higher lows. Oil markets firming up. The IEA’s bullish prediction is echoed in the latest movements in the futures market. The contango structure has switched over to backwardation, an indication that speculators are no longer as concerned about a short-term glut in supply as they once were. 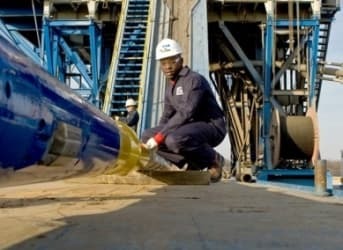 Some supply disruptions in Nigeria, along with maintenance in the North Sea, has temporarily cut into global production. 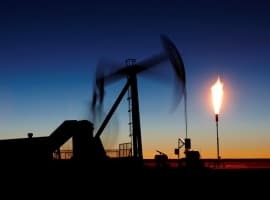 Meanwhile, in the U.S., the latest EIA data was mixed – weekly oil production dipped below 9 mb/d but oil inventories jumped again to a new record of 536 million barrels. Halliburton and Baker Hughes in talks to sell assets to Carlyle Group. In an effort to assuage the concerns of antitrust regulators, oilfield service companies Halliburton (NYSE: HAL) and Baker Hughes (NYSE: BHI) are in talks with private equity giant Carlyle Group (NASDAQ: CG) to sell off assets. The WSJ reports that the talks are “far along,” and could consist of $7 billion worth of assets. The talks come as the Justice Department sued to block the merger between Halliburton and Baker Hughes. It is not clear that the divestitures, even as large as the ones discussed with Carlyle Group, would be enough to fend off DOJ. “There’s no fix to this transaction,” is how a top DOJ official put it last week. Wells Fargo hit by energy losses. Wells Fargo announced that its first quarter profit fell by 5.9 percent, with losses tied to bad energy loans. The San Francisco-based bank is one of the largest lenders to the oil and gas industry, loans that it thought were low risk. But the collapse in oil prices means that revenues have dried up for oil and gas drillers, which means Wells Fargo and other banks are struggling to collect on their outstanding debt. The bank is not overly concerned because energy only accounts for 2 percent of its portfolio. However, within that category of energy loans, about 57 percent are categorized as “classified,” or in danger of default. “The oil and gas portfolio remains under significant stress due to low prices and excess leverage in this industry,” Wells Fargo’s Chief Risk Officer Mike Loughlin said. The major banks are setting aside more cash to cover for potential losses related to their energy loans: JP Morgan Chase said it was setting aside $1.3 billion, Wells Fargo said it was setting aside $1.7 billion, and Bank of America has $1 billion to cover for energy losses. Iran oil exports surge. Iran’s oil exports are rising quickly after a slow start. For the first two weeks of April, Iran’s crude exports jumped by 600,000 barrels per day compared to March levels, hitting the 2 million barrel-per-day mark. $10.7 billion flows into junk-bond market. While major banks are hurting, junk-bond investors are not concerned. In March, $10.7 billion of capital flowed into junk-bond debt, the most in four years. That followed the $3.7 billion of capital inflows in February. Despite oil and gas dragging down the value of junk bonds, investors are unbowed. Peabody Energy files for bankruptcy. The largest private sector coal producer in the world, Peabody Energy, filed for Chapter 11 bankruptcy this week, a dramatic signal of the unfolding collapse of the coal industry.